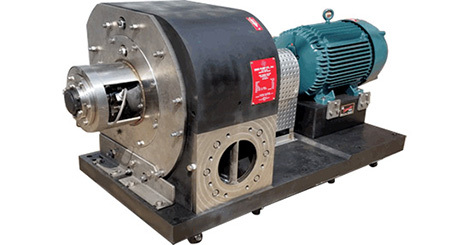 solutions for all centrifugal pump applications. 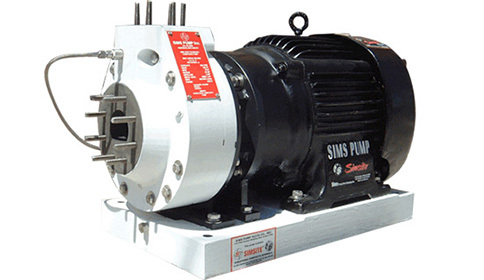 Sims Pump’s primary customer base consistsof those who are pumping corrosive products, including theNavy, Marine, Chemical, Wastewater, and Industrial markets. Sims Pump Valve Company, Inc. (SIMS) was founded in 1919, and is located in Hoboken, New Jersey. 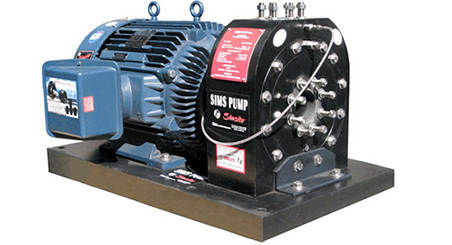 Offering innovative solutions for customers, Sims Pump specializes in solving balance, cavitation, corrosion, electrolysis, erosion, and radial thrust problems.SIMS manufactures SIMSITE® Structural Graphite Composite Pumps and Pump Parts which are 100% machined on the inside as well as the outside on 5- to 8-axis robotic machining centers. 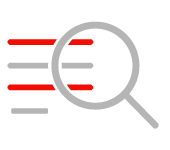 Usingstate-of-the-art CFD techniques to engineer the vane and pump volute geometries, SIMS maximizes efficiency and performance specifically for the customer’s system. SIMSITE® is a patented structural composite manufactured exclusively by SIMS. It is 100% machined, and utilizes a tri-dimensional weave, which affords it outstanding mechanical properties. 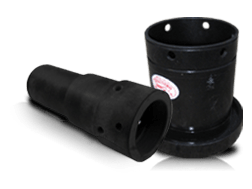 SIMSITE® Products NEVER corrode in salt water, wastewater, sewage, or chlorinated water applications, and are excellent for many chemical applications. 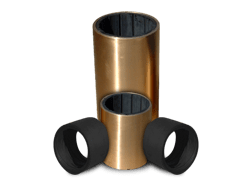 SIMSITE® Products are light weight, energy efficient, and stand up much better to corrosive environments, erosion, and cavitation than metallics, or other non-structural composites. 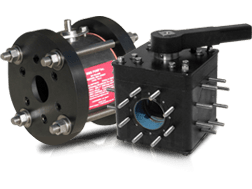 Withmost pumps and pump parts coming from outside of the United States, the reliability and quality of these materials and parts have substantially deteriorated over the past few years. 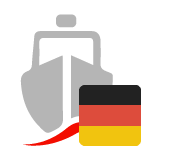 These inferior products force customers to replace or repair products much more rapidly. 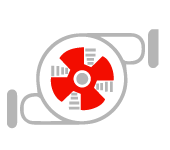 Fortunately, SIMS, a specialized engineering company in the United States, manufactures machined, structural-engineered pumps, impellers, rings, sleeves, bearings, bushings, valves, mechanical seals, and more. 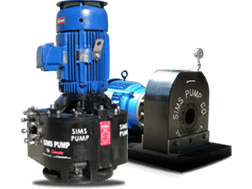 Instead of just repairing a pump, or replacing it with a new pump of the same type or quality, SIMS offers better solutions and longer-lasting products for customers. 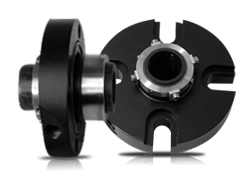 All SIMS Pumps and Pump Parts are computer-engineered, designed, and precision machined (never cast or molded), with the objective of maximizing longevity and reliability. As a result, SIMSITE® Products are gradually taking market share from more traditional materials and products. 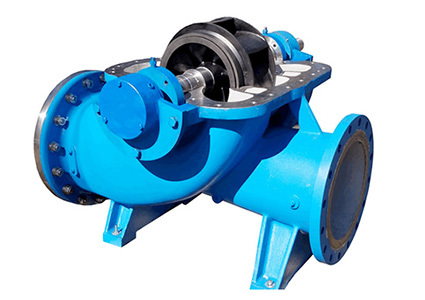 SIMS can manufacture obsolete parts for any centrifugal pump with quick deliveries. 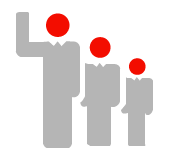 SIMS focuses on life extension – a revolutionary concept in comparison to traditional pump manufacturers who make their money selling spare parts. 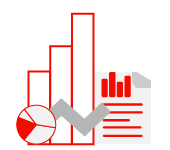 SIMSITE® Products outlast and outperform other products on the market, and will therefore significantly improve performance and reliability. Beyond performance, a look at total costs reveals that SIMSITE® Composites are an exceptional added value. 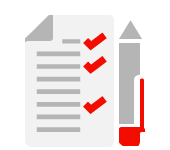 An evaluation of maintenance, spare parts, inventory, and energy usage, shows SIMSITE® Composites are the best option for almost all pump and valve applications. With the invention of the Sims Pump Valve for use in reciprocating pumps, Sims Pump Valve Company, Inc. was founded in the Red Hook neighborhood of Brooklyn in 1919 by Admiral SIMS and his brother. Growth necessitated first a move to downtown New York and then to the company’s present address in Hoboken, New Jersey. 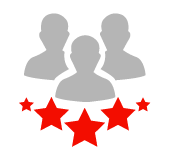 From the outset, SIMS has offered its unique guarantee of customer satisfaction. Introduced by the founder of SIMS, this guarantee continues today as an integral part of operations. In the first four decades that followed, SIMS was steadily at the helm providing maritime and other industries with valves of bronze, stainless steel, and Monel. 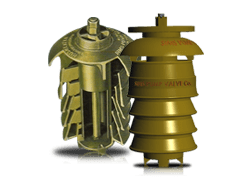 The inherent “clattering” of the reciprocating pump valve caused by the pump rotator pounding against the disk lead to the invention of one of the first composites on the market - the SIMSITE® Reciprocating Pump Valve Disk. 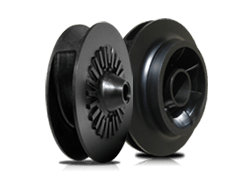 Recognizingthat traditional metal impellers were subject to electrolysis, corrosion, erosion, and unbalance problems when used in services such as salt or brackish water, the SIMSITE® Disk was invented for use in reciprocating pumps. 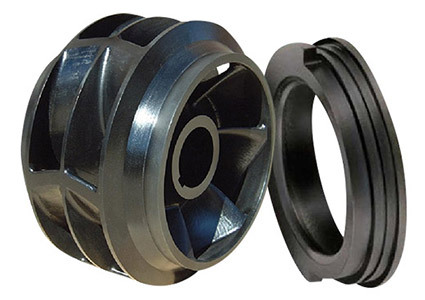 SIMS developed and introduced the first SIMSITE® Casing Rings and SIMSITE® Impellers. The highly innovative use of this structural composite material, patented and invented by SIMS, was a great success. It outlasted the life expectancy of bronze and stainless steel impellers and rings by years and extended the entire pump life. 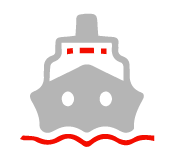 SIMSITE® Structural Composite technology has continued to improve over the years, making the composite stronger, more resistant to chemicals and abrasion, and capable of withstanding higher speeds and temperatures for marine and industrial applications. 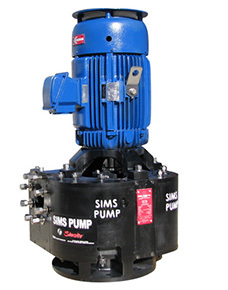 SIMS manufactured the first structural composite pump, an all SIMSITE®Vertical Pit Pump. SIMS won the Innovative Product Award for its SIMSITE® Vertical Pit Pumps. SIMS received the honor of approval from the United States Navy for its SIMSITE® Composite Centrifugal Pump Internals.SIMSITE® was tested and qualified for centrifugal pump replacement parts and was the first composite pump company to become United States Navy certified. SIMS manufactured the largest composite pumps in the world. 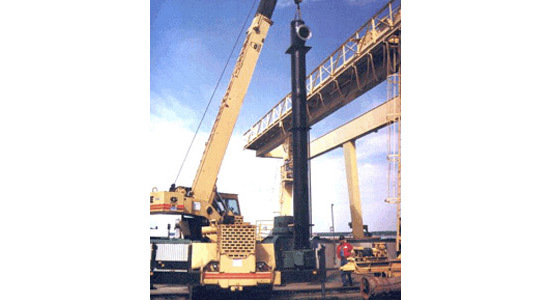 These two SIMSITE® VerticalTurbine Pumps were designedfor the Potomac Electric Power Company. They are 40 feet long and 3feet in diameter, and are still in operation today. SIMS designed the fastest-running structural composite impeller in the world for Raytheon Radar Cooling Systems. 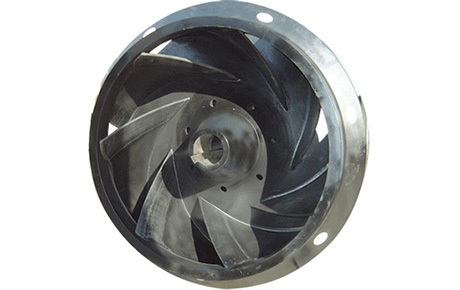 This SIMSITE® Impeller runs at a speed of 12,000 RPM. SIMS introduced the first SIMSITE® Structural Composite Vertical In-Line Pumps. SIMS became the first company to have its composite pumps and baseplates both shock and vibration qualified by the United States Navy. SIMS became shock and vibration qualified for the United States Navy Standard Composite Pump Line. SIMS designed a complete line of SIMSITE® Structural Composite Pumps for the United States Navy. All sizes are United States Navy shock and vibration qualified. SIMS designed and shock qualified a SIMSITE® Structural Composite In-Line Ball Valve for the United States Navy. SIMS manufactured the largest structural composite centrifugal impeller in the world. This massive impeller was installed in a cooling tower pump for Puerto Rican Electrical Power Company in 2006. 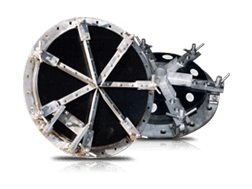 The SIMSITE® Impeller is 50 inches in diameter and consumes 2,000 horsepower. SIMS designed and shock qualified a SIMSITE® Structural Composite 3-Way Diverter Valve for the United States Navy. SIMS engineered a new type of SIMSITE® Structural Composite Replacement Bowls for vertical turbine multi-stage pumps. These stages are suitable for a wide range of vertical pumps from 4” bowls up to 20” bowls. The maximum operating pressure for these pumps is 600 psi. SIMS designed and engineered the first structural composite anti-heeling pump, manufactured completely from SIMSITE® Structural Composite, for Norwegian Cruise Lines. 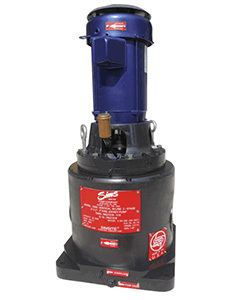 SIMS engineered and manufactured the first SIMSITE® Structural Composite Two-Stage Vertical In-Line Pump. SIMS engineered and manufactured the first SIMSITE® Structural Composite Two-Stage Horizontal Split Case Pump for a BP Refinery in the Midwest. 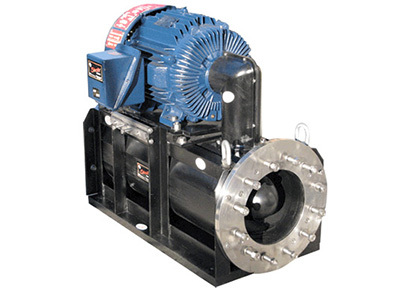 This high pressure pump replaced a two-stage double-suction antiquated pump that was obsolete. SIMS designed and manufactured the first SIMSITE® Structural Composite Double-Suction Horizontal Split Case Pump for a PSE&G power plant. 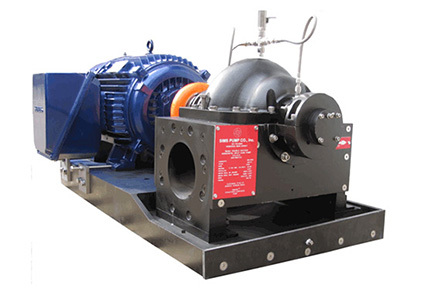 SIMS developed the first stainless steel and SIMSITE® Horizontal Double-Suction Split Case Hybrid Pump, 18 x 16 – 18, for a public service power plant. 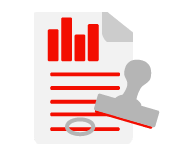 The guarantee that stands behind each SIMS product sold and the more than 98 years of service and experience offered by SIMS.